Hungry? A new neighborhood Chinese spot has you covered. Called South Of The Clouds, the newcomer is located at 16 W. 8th St. (between 5th Ave. & MacDougal St.) in Greenwich Village. This newcomer comes from chef Lihen Geng, who comes from a long family line of restaurateurs specializing in Yunnan-style cuisine. His father's family is behind popular eatery Yun Nan Flavour Garden in Sunset Park. Geng's new eatery is billed as a "toned-down" version of his family's restaurant and focuses on mixian rice noodles from Yunnan. On the menu, expect to see dishes like "Signature Crossing the Bridge Noodle" with four-hour stewed chicken broth, silkie chicken, beef, pork, fish, and veggies; cold-stir rice noodles with minced pork, fermented bean paste, cilantro, and crushed peanuts; and tomato soup rice noodle with pork or beef, tomato, and mint. South Of The Clouds has received mixed reviews thus far, with a three-star rating out of 23 reviews on Yelp. 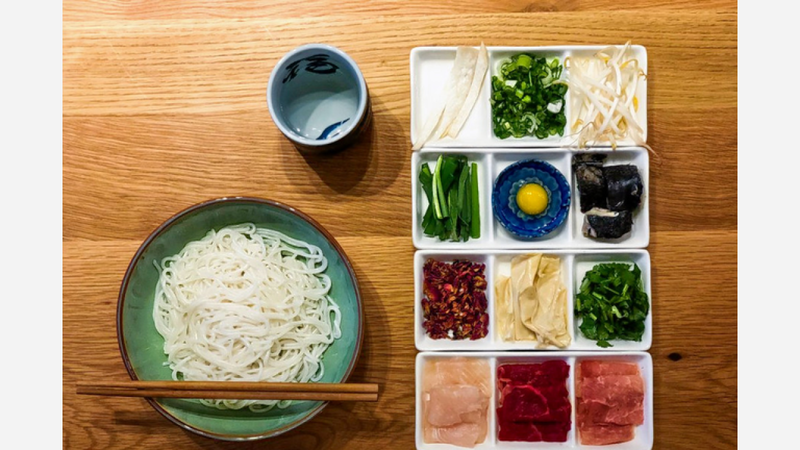 Shannon Z., who was among the first Yelpers to review the new spot on January 20th, said: "I tried the tofu pudding rice noodles and the little pot rice noodles and had their rose soda to drink. Everything was delicious and made with care." Yelper Rebecca M. added: "The crossing bridge rice noodle did follow the old fashioned way, which prepares all side dishes--besides the hot broth and noodles--until it is presented to the customers, instead of pouring all of them at the same time before you have the bowl. It's worth a visit, and will not let you down. Tastes so good."